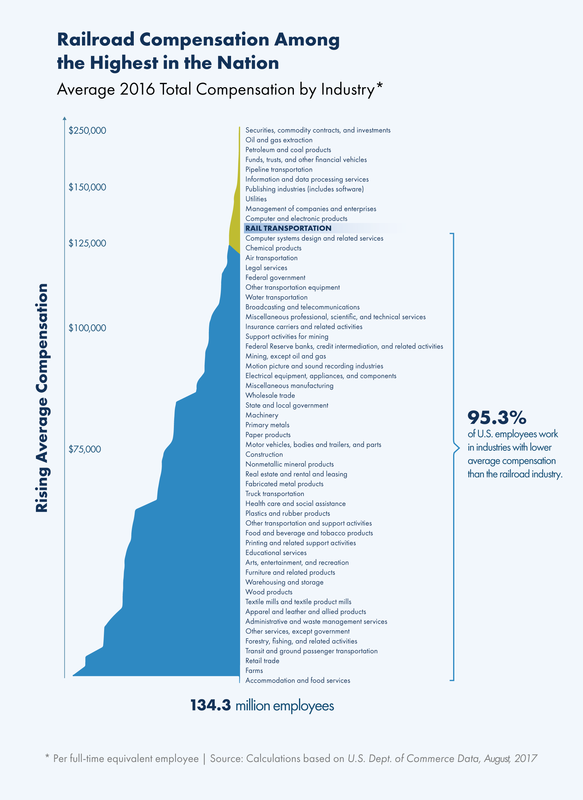 Employees in the freight rail industry are among the most highly compensated in the nation. Freight railroads offer long-term career opportunities with pay and benefits ranked in the top 5 percent of American industries, according to the most recent data from the U.S. Commerce Department. In 2016, total annual compensation (pay and benefits) for Class I freight rail employees covered in the current round of national bargaining averaged approximately $112,000. This is 51 percent higher than the total compensation for the average full-time U.S. employee ($74,407) for the same year. 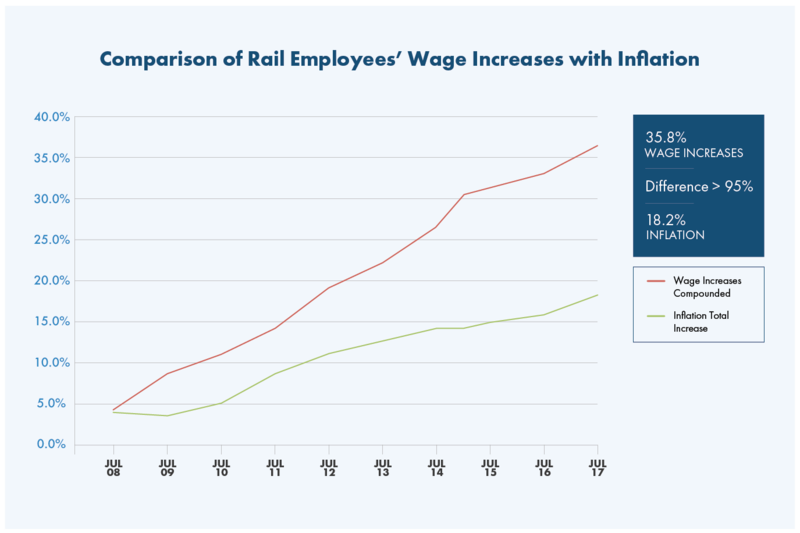 Railroad employees have enjoyed significant gains in purchasing power that have far exceeded inflation. Between 2008 and 2017, their compounded wage increases from national bargaining totaled 35.8 percent and outpaced inflation by more than 95 percent. These figures include 137,100 employees now covered by the pattern settlements, which provide additional wage increases in 2018 and 2019. In addition to high pay and exceptional benefits, railroad employees enjoy lengthy careers. On average, railroad employee tenure is significantly longer than other private sector workers, according to U.S. Labor Department data.